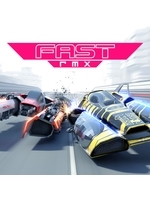 FAST RMX is the sequel of FAST Racing Neo released on Wii U, it offers the same content (including DLCs) as well as new tracks and vehicles. Here are some 1080p60 videos. Nice! 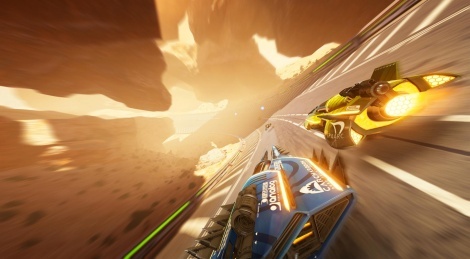 It looks really good, I guess this is closest to F-Zero that we are going to get. I wonder if N will ever make a new F-Zero, they totally should. Why is the hovering ship constantly bouncing up and down like its driving on a gravel road in rally game? Looks weird. Otherwise it looks...ok. I find this more visually impressive than Zelda, honestly. Zelda's game world is insanely big and is basically a Wii U game ported to Switch. It's pretty crazy actually that Wii U can handle that game. To be honest PC need this game. Great videos guys!! !,Will you upload more videos of this game? Hahahahaha ok, sorry my friend.